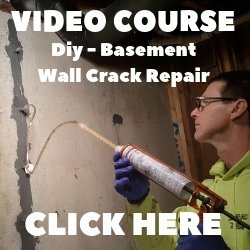 On this page I'm going to show you how to use a laser level for leveling the ground, leveling concrete floors or whatever else you need to level. Hi, I'm Mike Day and I own Day's Concrete Floors, Inc. Using a self leveling rotary laser level is something I do every day in my line of work. For me, using a laser level to check dirt grades and level concrete floors, saves me a lot of time (and money) because of how easy it is to set up and how fast & accurate it is to measure grades. I highly recommend this laser level. I've been using it for years. It's very reliable, easy to set-up, and accurate. The set-up for a laser level like this one is ridiculously easy. Allow a few seconds to self-level and start rotating. That's it! It's really that easy to set-up and get going. You just have to make sure the tripod is somewhat level. It doesn't have to be perfectly level because the laser has it's own leveling mechanism. When the rotary laser self levels, it starts spinning a laser beam 360 degrees. This laser beam, it's red on RL-5HB, gives you a horizontal, level beam to measure off from that is accurate up to +/- 20 arc seconds, 1300 feet or 400m away from the laser. Now for me and my line of work, installing concrete floors, the longest distance I have to set grades is usually 100 feet or less from where the laser is set up. I know for a fact in that distance, 100', the laser beam is accurate plus/minus 1/8 of an inch on my floors. 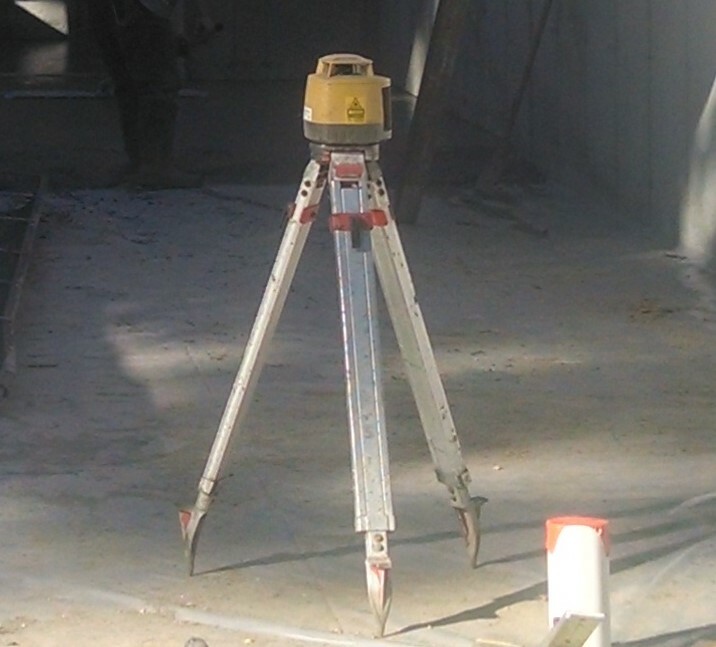 If you're using the laser level to level the ground, or you're an excavator and need to level the sub-grade in a foundation, the first thing you do is find a spot to set the tripod and laser level that's nearby but out of the way. You don't want to have to keep moving it around once you establish you benchmark grade. As you can see in the picture, I'm checking the sub-grade inside this house foundation. I have my grade stick with numbers on it and i'm moving the laser receiver up or down until it reads the laser beam that's spinning 360 degrees coming from the laser. The receiver emits a beeping sound when it's within about an inch of reading the laser beam. It beeps fast if you need to move the receiver down. It beeps slow if you need to move the receiver up. And it has a solid beep when the receiver is perfectly level with the laser beam. This is how I use it to check grades with. I take a reading of the sub-base in one spot that might show up as a 4 on my numbered grade stick. Then I take another that might show up as 5, and another that might be a 3 and so on. I might take 10 different readings on a house foundation floor sub-grade like this. After I take all those readings, I average them together to get the average sub-base grade. (it might be 4 or 4.5, or 3.5) it depends on how out of level the sub-base is at that time. Once I establish the average grade, I know if I need to rake out any high spots or fill in any low spots. 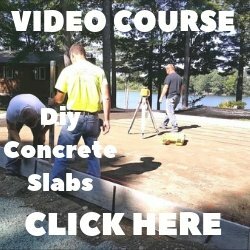 I personally need to establish a sub-base grade because I'm usually installing a 4" thick concrete floor over the sub-base and I need to set my concrete floor grade 4" higher than the sub-base grade. Now if you're using the laser level to just level the ground, you would set your receiver to your pre-determined grade and keep checking the dirt as you dump it and spread it around. When you set your grade stick on the leveled ground and it has a solid beep, you know you're level. If it beeps slow or fast, you're either too low or to high in that area. I use my laser level just about every day to set grades for the concrete floors we install. In the picture above, I establish my finish floor grade by setting the receiver level with the top of the foundation wall. 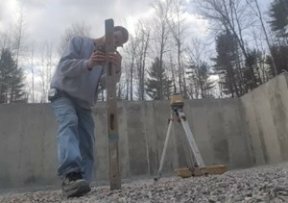 Then using the laser, I can transfer that grade to the middle by making a "wet pad" in the concrete and checking the level with the grade stick. 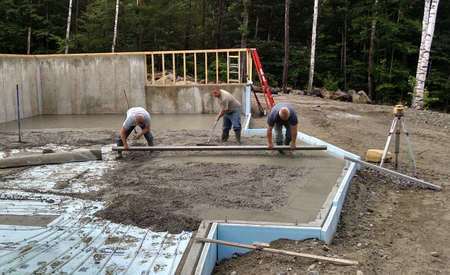 This is a very fast and accurate way for us to install our concrete floors. 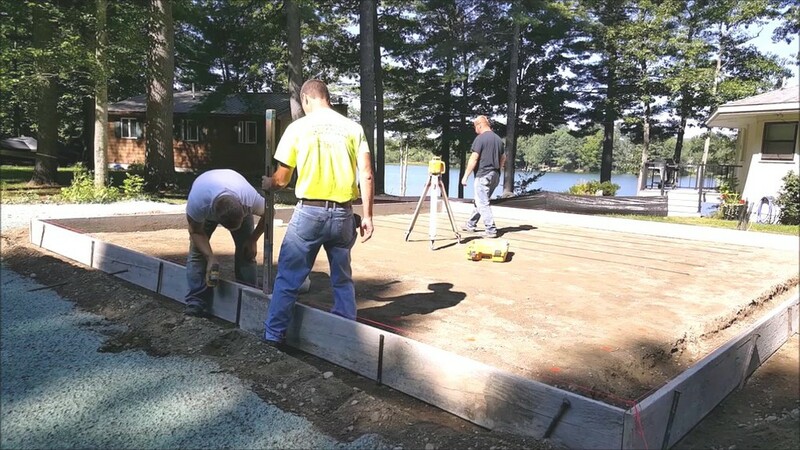 In the picture above, I'm using a laser level to set the forms for this concrete slab to a level grade. I checked the dirt grade in multiple spots first, got and average, then raised the receiver 6" higher to establish my top of form grade. Once I have my top of form grade, I can go around and check the boards to see if I need to raise them or lower them. How accurate is laser level? Quite honestly, I think the best place to buy a laser level is right on Amazon. You order it and it gets shipped to your door within a couple days. I have 3 of these Topcon lasers and that's how I did it with no problems. 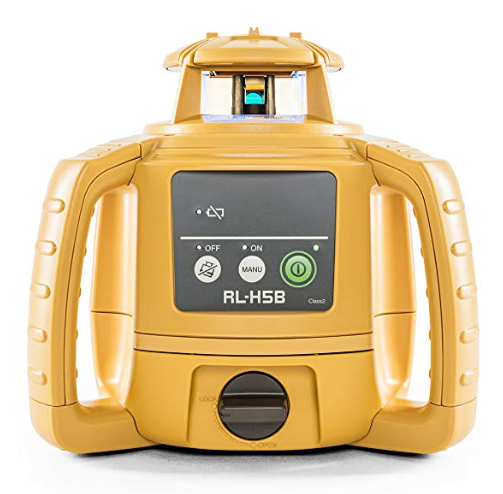 You could buy a laser from one of the big box stores, they won't have a Topcon brand there but will have a Dewalt laser level or a Bosch laser level. I do have a Dewalt laser level also. We don't use it, I think the Topcon one is easier to set-up and more accurate. I have never used the Bosch so I can't recommend that one. If you're interested in the TOPCON LASER LEVEL, follow that link to Amazon. Don't forget to get the TRIPOD and GRADE STICK. Please note: I am an affiliate for amazon, If you click through and purchase within 24 hours I will receive a small commission. Thank you!